Hope you are all well! How lovely is this weather we are having today?! I litterally came home from work and ran into my garden to catch a few rays! I'm hoping this weather will last and the weather is lovely where you are also :) I'm hoping to catch a little glow!! 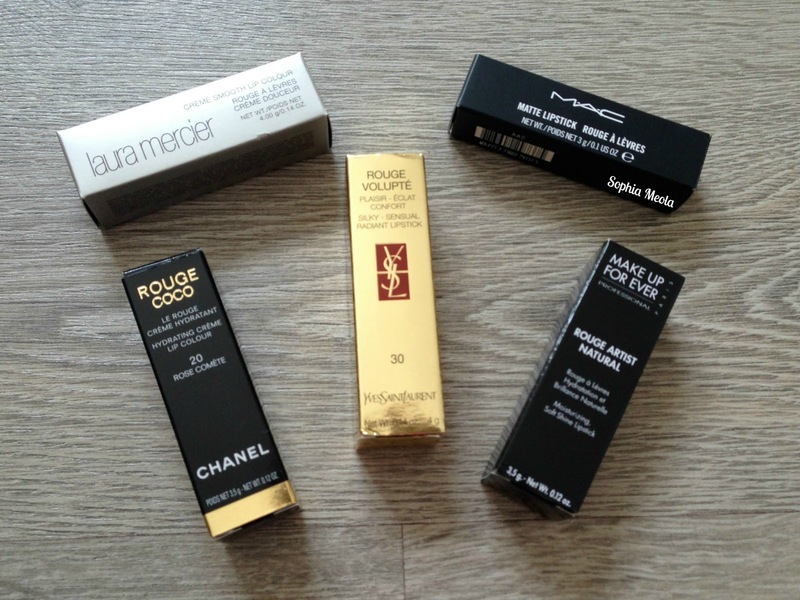 The haul posts are starting to appear again haha, expect a few the upcoming weeks as i have a load of exciting events coming up, including two super exciting Chanel ones, MAC, Benefit and Urban Decay :P literally counting down the days haha, can't wait to share the new product releases with you all. If you read my blog then you'll know my obsession with pink in general haha this beautiful Nymph blush is a super yummy warm candy pink which leaves a matte finish to the skin, so is pretty much perfect for me. It instantly stood out to me on the website and i can't wait to start using it. 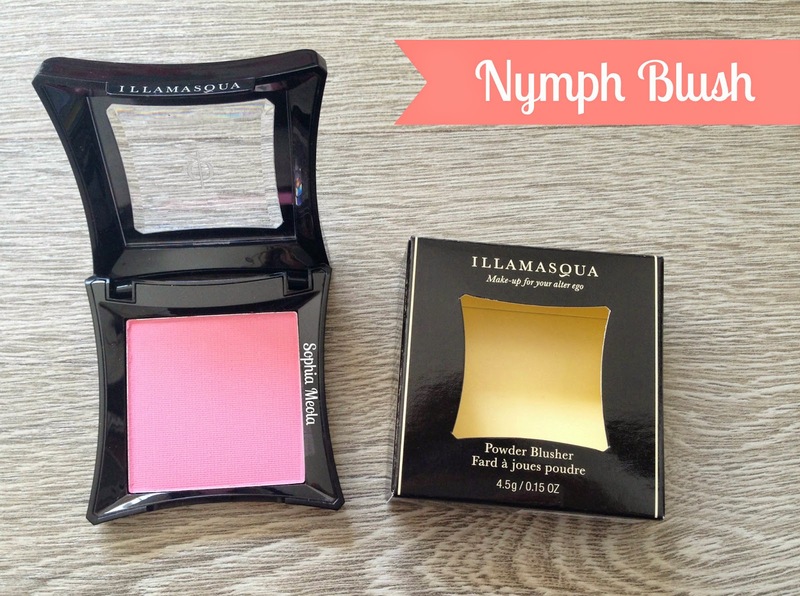 It reminds me almost to MAC Well Dressed which is also one of my all time favorite blushers. I'm a sucker for a beautiful highlighter and i was instantly drawn to this shade on the website. I am absolutely loving the dewy glow to the skin look for the summer time and i can't wait to start using this little beauty. 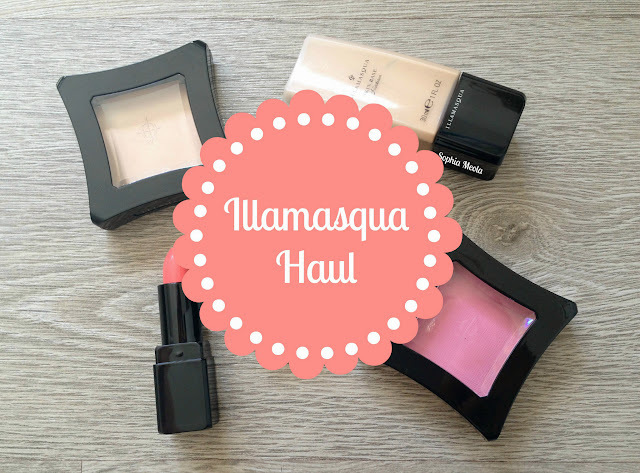 It is a cream based product which is a little different to what i have previously used as i religiously use my MAC Soft and Gentle Mineralised Powder, however, i'm sure this will be a dream to apply to the skin. Quick little fact, Aurora aka Sleeping Beauty is my favorite Disney Princess so how perfect is this little combination haha. 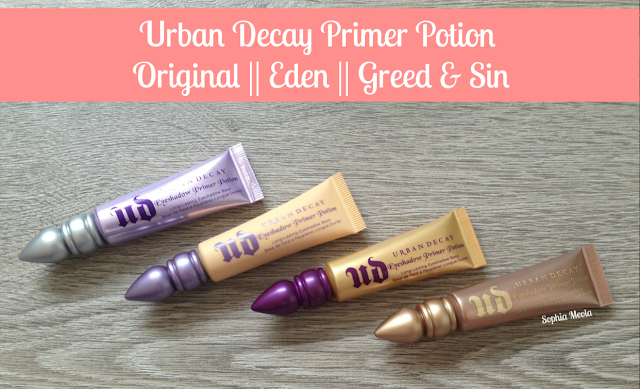 I have constantly been seeing tones of reviews of this little treasure floating around the bbloggersphere and it is a fave at the weekly bbloggers chats. The Pixiwoo sisters religiously use this foundation in their tutorials also so i was instantly sold and have been coveting this foundation for a while now. I do love a flawless base for my makeup. Purchasing this online was a little gamble as i totally had to guess my shade. 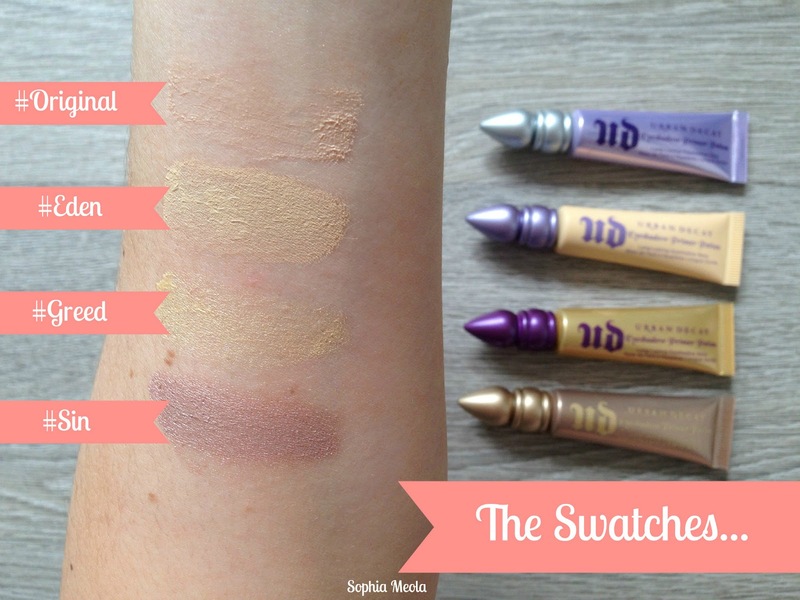 Even though i was looking at swatches online the shades looked different in each picture so it was a total guess. Surprisingly though when i opened the packaged yesterday and quickly swatched it, it looks like a perfect match!! I have yet to try it on my fave properly but i think i made some pretty awesome guessing skills right there haha. I will be doing individual reviews on each of these products so pretty please let me know which ones you would like to see first :) I hope you enjoyed this little haul post, if you have any questions or requests please do not hesitate to contact me or leave a comment below. The #CosmoBlogAwards have launched and after much deliberation i have decided to enter this year. 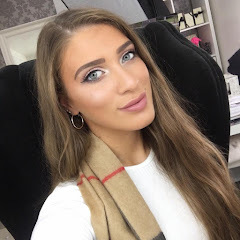 So if you like and enjoy reading my blog and would like to nominate me for 'Best New Beauty Blog' I would really appreciate it and will love you forever haha. You can do so by clicking HERE :D Thank You! There are a few different methods that can be used to remove hair, it's about finding the right method thats suits you, which you feel most comfortable with and how long lasting it is. Shaving has become one of my preferred methods, which needs minimal effort, it's easy to maintain and is cost efficient. To be honest i don't have a specific brand of razor i use religiously, i kind of use whatever is in the house or what is on offer in good ol' Tesco haha I'm currently using some cute pink Venus ones. Many razors now-a-days cut very close to the skin so you're more likely to have smoother skin for much longer. You don't have to wait for the hair to grow back a significant length for you to re-shave, you can do it whenever you feel like it haha. I was introduced to threading around two years ago now and is the method i prefer whilst maintaing my eyebrows. In threading a thin cotton thread specially designed for threading is doubled and then twisted. It is then rolled over areas of unwanted hair and removing them at the follicle level which means it will keeps unwanted hair away for longer. It can be a little uncomfortable as several hairs are being removed all at once but it is pretty quick and you do get used to the feeling. This method can vary in costs depending where you go, however it is still an extremely cost efficient methods. Where i go i pay between £3 - £5 depending on my eyebrows state. When you think of hair removal cream the first brand that springs to mind is 'Veet' and they have sooo many different types available to purchase now with different variations depending on your skin type. When i use the creams i tend to have a love hate relationship with it as it's not my favorite. On one occasion i was left extremely sore and it has totally put me off. However, it is always a 'back-up' method just in case yours in a rush as it is a quick and easy method to use. You simply apply the cream in the desired areas, wait a few minutes and then simply wash it off...easy peasy :) The strips are super handy though and can be chopped up to use on different areas like you eyebrows and legs! In comparison to the other three methods above, waxing is a little more painful. It removes the hair from the root which means re-growth is going to be a lot slower. Waxing is a method i also personally use and have found works great, however, it can be a more costly method depending if you go to a beauty salon or do in at home. However, waxing is a method i try to stay clear from when i've either fake tanned or have a natural tan as it tends to take dead skin off when removing the hair and i'd hate to have my tan removed in the process haha. To be honest, i have never used an epilator and not sure if i will haha. After my mum warning me that they are not that great and can be quite painful i looked at other methods like the ones above to use instead. Even though i don't want to try it out, it doesn't mean it won't be a method you'd like to try out, so it could be something to consider. Laser hair removal has become a more popular method of hair removal and i am extremely interested in it. A clinic i have been researching into that offers this method is the Sk:n Clinic*. Laser hair removal is a safe and virtually painless method of removing unwanted hair and i know sooo many people who have loved going through this experience. It works by focusing a laser beam at the base of the hair follicle and halting their growth. It can be used on any part of the body and is used by a wide range of celebrities! I was surprised when i found that the Sk:n Clinic* was local to my area, they have clinics dotted every where which means they are extremely accessible. Hope you are all doing well! I had my last exam today so i have now officially finished my 2nd year of University! YAY! I have the next four months to relax and not have to worry about anything, then when i go back the end of September early October time it gets serious, im in my dissertation year ahh! 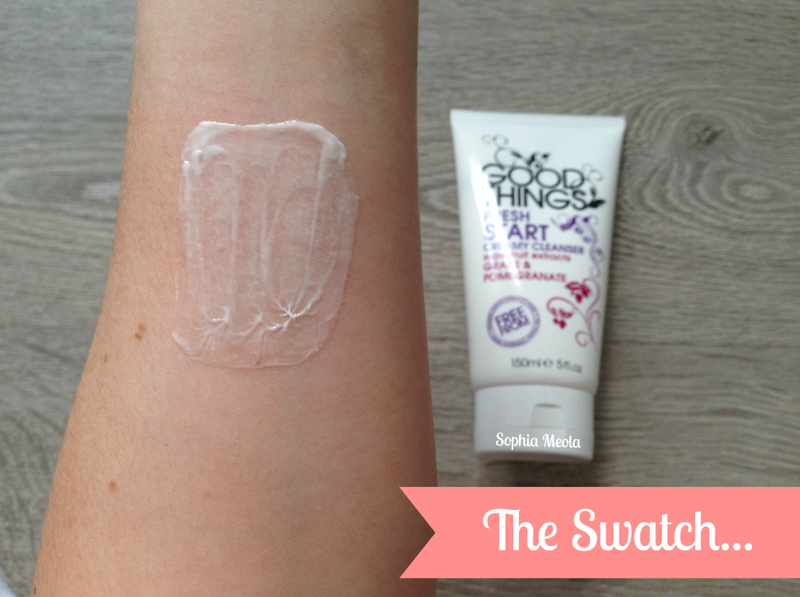 Anyways, so todays post is going to be a review of the Good Things Fresh Start Creamy Cleanser. 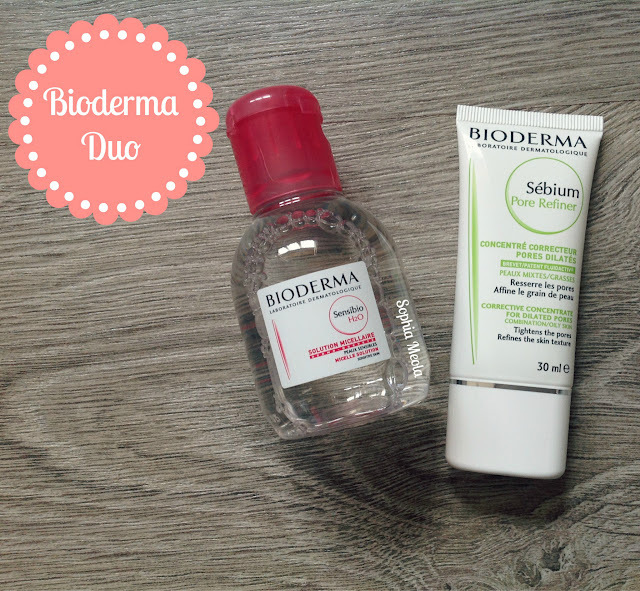 This product was very kindly sent to me and i have been loving using it so far. I have really loved experimenting with skincare and finding the right products that are best suited for me. I totally feel more confident when my skin is clear, do any of you ever feel like that? Like always i usually test out new products for around a few weeks to make sure i can give you a detailed review and i have to say this has been a lovely cleanser to use in my current skincare routine. It smells absolutely incredible! The Good Things Skincare range was developed by award-winning beauty writer Alice Hart-Davis. With Super-fruit beauty boosters in gentle and super-effective formulations, specially designed to make the most of your skin. "Young skin needs gentle, regular cleansing and moisturising to keep it looking its best, and our products are designed to do just that. They are packed with wonderful super-fruit extracts - such as goji berry and papaya - to give your skin an extra beauty boost too"
The Fresh Start Creamy Cleanser is very light weight to the touch but feels thicker once applied to the skin. It feels silky smooth when applied and is packed full of beneficial goodness! This is also the perfect cleanser which could be used with a 'Clairsonic' or similar skincare gadget. I have yet to invest in one but i definitely feel these would be a match made in heaven in a skincare routine. Once I have used the cleanser my skin feels extremely clean and quite moisturised. It leaves a lovely light scent behind which has been lifting my mood and reminding me of summer! The packaging is very simply but is uber cute! It looks quite pretty sitting in my beauty room alongside my other skincare products. I love how the white, pink and purple all compliment each other and that black detailing is very chic! It is different to other brands so you will be able to spot it out. Overall i feel this is a lovely cleanser and i can't wait to branch out and try out a few other goodies within the collection. For an extremely reasonable price of £4.99 i think this is a perfect purse friendly product which i feel actually works and will not cause any damage to the skin. If you would like to try out any of the products from the range yourself you can purchase them from Boots, Superdrug or Sainsbury's - you can also visit the website by clicking HERE and view all of their other ranges. Hope you enjoyed this post, thank you so much for stopping by and taking a peek! If you have any questions or requests please do not hesitate to contact me or leave me a comment below! Hope you are all doing well and having a fabulous weekend so far! Before i get started into this post i would just like to add that the #CosmoBlogAwards have launched and after much deliberation i have decided to enter this year. So if you like and enjoy reading my blog and would like to nominate me for 'Best New Beauty Blog' I would really appreciate it and will love you forever haha. You can do so by clicking HERE :D Thank You! So a few weeks ago i was very kindly sent some goodies from The Body Shop to try out and one of the products was this All-In-One BB Cream. I am a huge fan of BB Creams as i love wearing them on their own and also underneath foundation as a primer for a more flawless complexion. I'm a huge fan of The Body Shop in general, their body butters smell incredible and their lip balms are super yummy and moisturising. It's definitely a brand that i have grown up with and i love the fact that they are a cruelty free brand. A few of their face products that i religiously use are the Vitamin E Tinted Moisturiser and the All-In-One Face Base. 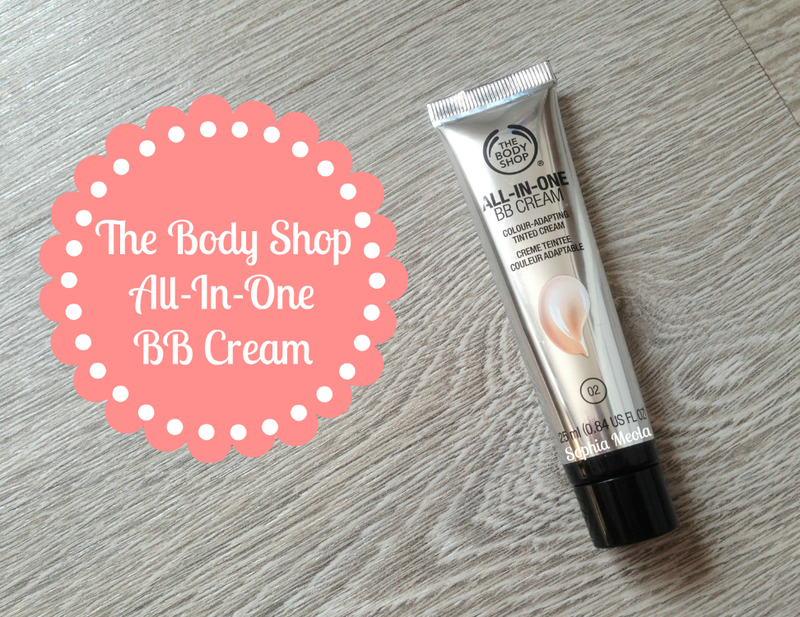 The Body Shop state that this All-In-One BB Cream adapts to your skin tone and give a natural light to medium coverage on the skin. They also state it has a non-clogging formula which gives an even finish and 24-hour hydration. 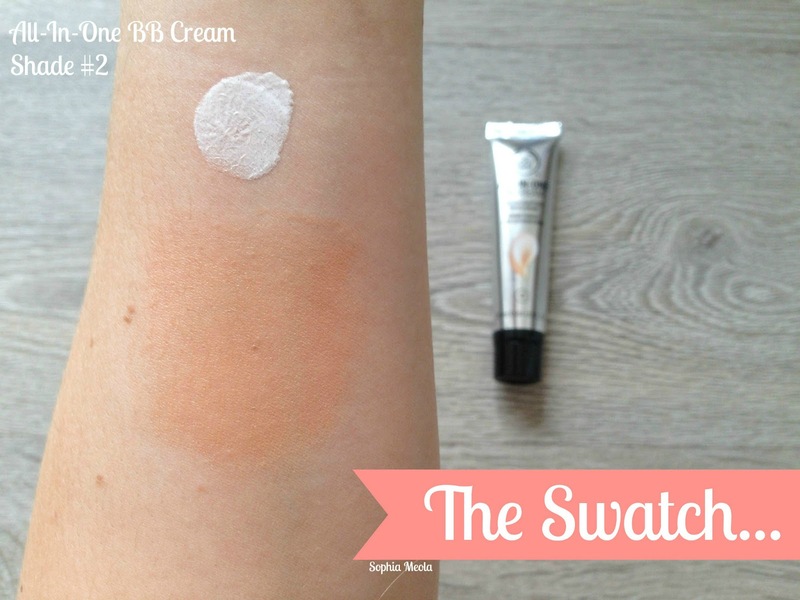 This formula itself is very similar to the L'Oreal Magique BB Cream where it initially comes out white like you can see in the swatch and then when blended out the little micro-beads in the formula burst and magically transform into a shade which will adapt to your skin tone. I have been using this BB Cream in a numerous of ways, i have enjoyed applying it with a Real Techniques Stippling brush and also simply applying it using my hands, one of the best beauty tools you can have :D just always make sure your hands are clean. The application was super easy, smooth and extremely blendable and the colour was a perfect match on my skin tone as the formula adapts to your perfect shade. I have a combination skin type and this product lasts all day on my skin with and without a primer underneath. I love using this over the L'Oreal Lumi Primer for an extra dewy glow to the skin. As you can see the packaging is a metallic plastic tube with a screw-top which makes it really easy to control how much product you are actually using so i personally feel a product like this will go a long way, especially as you need the smallest amount to cover your whole face. As the packaging is super compact and light weight it is extremely travel friendly. Unlike most BB Creams this product comes without Sun protection in the formula so you would have to apply that separately. I should pay more attention to sun protection when i apply my makeup so i have to say i am quite lazy and in most cases forget to apply it, thats why i do prefer a product where it is included as it's an all in one step. Also, this little beauty is available in 3 shades - 01, 02 and 03, however i kind of feel that 3 shades is not enough to match all skin tones. 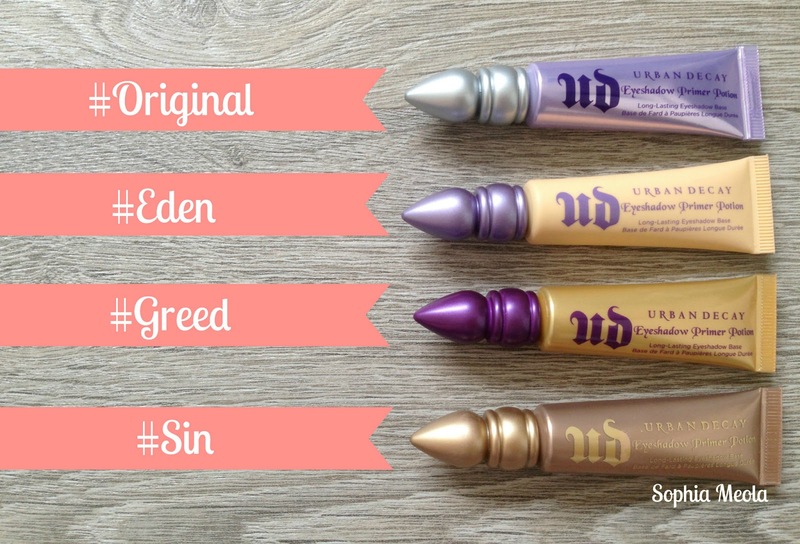 So i would suggest testing this out in store or asking for a sample to try out first to make sure you are matched to your right shade. Overall i am really enjoying using this product on a daily basis. 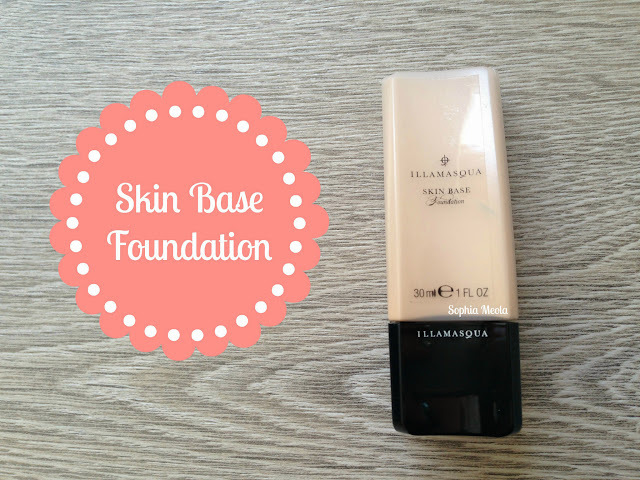 As we have been experiencing some sunshine lately i have preferred wearing a lighter coverage formula on my skin like a BB Cream so i feel more refreshed than wearing a heavy coverage foundation. I feel that it leaves a very dewy and natural glow to my skin which i am loving for the summer months and is extremely long lasting. However, depending on how my skin is i find that this can be a little sheer on blemishes so a concealer will be needed to cover pesky areas. Hope you are all well! YAY that the weather is still pretty lovely, i do love waking up in the morning with the sun shining and the birds singing :D I was up super early today I went to work with my Dad this morning which usually involved waking up at the crack of dawn haha. I know it's only just turned May you can never be too prepared for upcoming events. Before you know it it'll be June and Fathers Day! June is a busy month for me and gift for my Dad, it's his Birthday the 12th, St Antonio Day the 13th, Fathers Day the 16th and then my parents 24th Wedding Anniversary the 17th! So as you can tell i have quite a few presents to purchase, so i thought i'd put together a 'Gift Ideas' post to help me decided on what to get this year. This is something a little more special, plus you can spend some quality time with your Dad! Who wouldn't love to be wined and dined at a Luxury Hotel?! Watching TV has become a huge part of all of our lives now a days. My Dad included is a total TV buff and loves watching all of his shows from Football, QI, Mock the Week, Only Fools and Horses and so on. The list could literally go on and on forever haha. The linked website has a huge variety of LED TV's to choose from at such reasonable prices. A TV would be such an unexpected surprise. Right, i am in no way trying to promote drinking at all by including this product in this particular post. It just so happens that Jack Daniels is one of my Dads favorite drinks. Getting a bottle of something is always an easy option (if their over 18) for a stocking filler when your stuck on something to get. I love the fact that personalised gifts can be treasured forever! These super cute posters are the perfect little gift which are extremely meaningful and super affordable. This would be just right for my Dad to hang up in his office at work along side all of the other goodies i have made him throughout the years. Hope you are all doing well and had a fabulous bank holiday weekend! So todays post is going to be a little different to all the beauty and fashion posts i've been doing lately. 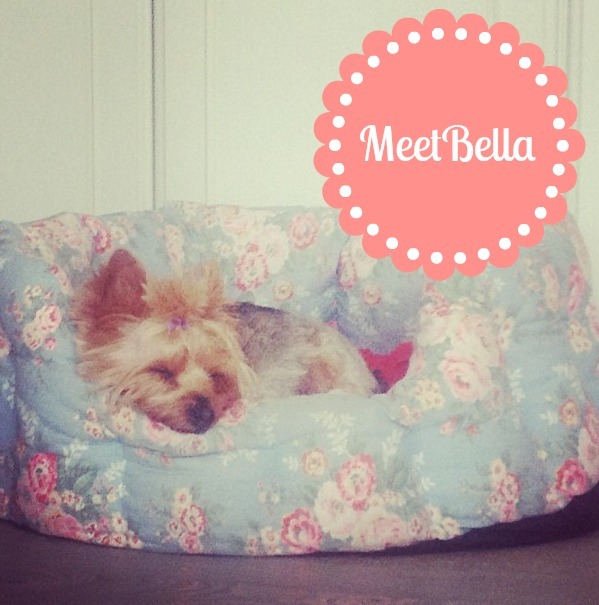 I decided to break away into the 'Lifestyle' part of my blog and introduce to you my Yorkshire Terrier Bella and all the fun stuff we get up to and will be getting up to now the summer is finally here. This is my little Bella :) well, i say little but she's not so little anymore as she just turned 6! She's got the cheekiest personality and is such a diva it is unreal haha. She enjoys dressing up, posing for the camera and long naps in the sunshine. Bella lovesss her food and has been put on diet by the vets around 3 times now, she yo yo diets all the time ;) Unfortunately she had a little accident last year and she had to have a pretty serious operation on her back leg which left her with a metal plate with 6 screws. Now, Bella is only a little thing and after this little accident we had to get her back into a routine to make sure she was getting all the physical and metal activities she needed to walk again. A year on and she has recovered amazingly and she's back to her old self again, so i thought i'd show you guys some of the stuff we get up to. Daily exercise is an essential component for dogs to ensure they keep healthy and mentally and physically stimulated. Bella is only a little thing but since her operation she needs to be out walking 1 - 2 times a day to keep her leg strong. Since the weather has been much nicer and now i'm near enough finished for the summer we enjoy walking Bella up to the local Marina where we can feed the ducks! :D Last year when we went we saw some baby swans grow up and they are still there now. I doubt they remember us but when they were babies you could feed them directly from your hand, was so cute! Not only are walks great for your dog but for you also, i know by doing all this walking i am getting fresh air and exercise everyday. Bella used to go to agility and obedience classes and she done pretty well and enjoyed them. She can't do super amazing tricks but she tries bless her. She can sit, lay down and stay but a trick i can kind of do with her is the one where you rest a treat on a dogs nose and you tell them to wait for a while and then have it and they flick it up in the air and catch it in their mouth, i think it's amazing haha. Bella is also learning how to do 'paw' but she hasn't quite understood the concept as yet as she tends to just lay down when you ask her haha. We are always out in the garden, especially at the weekends and Bella and our cat Cookie love playing around together in the sunshine. Whilst i'm catching a few rays Bella will come over until i give her attention and then we end up running around the garden usually throwing her toys around for her to chase haha. Bella must have over 50 toys, no joke, she loves all types especially if they have a squeak inside, she things she has to play with it until it stops squeaking, odd i know but thats Bella for you. Bella has got a passport and we have traveled to a few places with her and this is something we always consider now when we go away as we would love to bring her along with us. We would absolutely love to bring Bella to LA in September but we personally feel the flight might be a little too long and traumatic for her and she is getting older now. It's not the healthiest thing to do but we do love lazy days and Bella loves nothing more than cuddling up on the sofa and watching television with us, yup thats right television! She seriously sits down and watches everything that is going on. The activities you can do with your pet are endless, these are just a few of the ones we like to do :D A super helpful website is the 'Pet Health Info' which we have found tones of helpful information on. Hope you are all well! Today has been a great day so far, went to work and now i'm sorting out bits and bobs that need to be done and spending the day with my little Bella, which i have a post coming up on soon. Hope you are all enjoying this sunshine and have a fabulous bank holiday weekend!! Also, the #CosmoBlogAwards launched yesterday and after much deliberation i have decided to enter this year. So if you enjoy reading my blog and would like to nominate me for 'Best New Beauty Blog' I would really appreciate it and will love you forever haha. 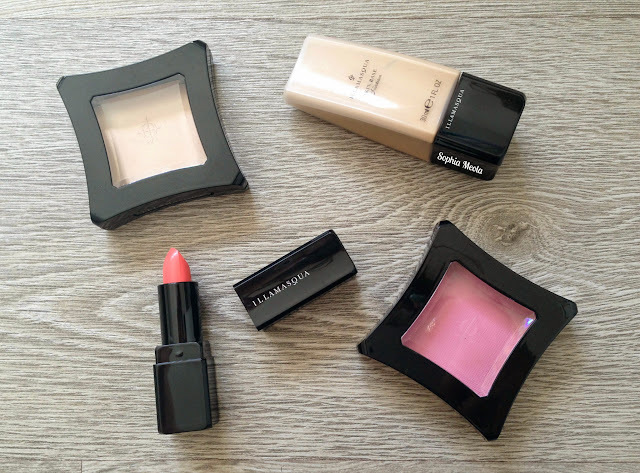 This is a recent purchase of mine after finally giving in and finally purchasing some Laura Mercier goodies, i have a total of 2 lipsticks from Laura Mercier and this particular shade was my first ever one. I have a full review of this little gem on my blog already if you want to take a peek at that then CLICK HERE :) The shade of the lipstick is absolutely stunning, as you can see from the swatch it is a beautiful light rose shade with a slight hint of shimmer. It is a very versatile shade and I think it would be the perfect shade to wear everyday but also on a night out. 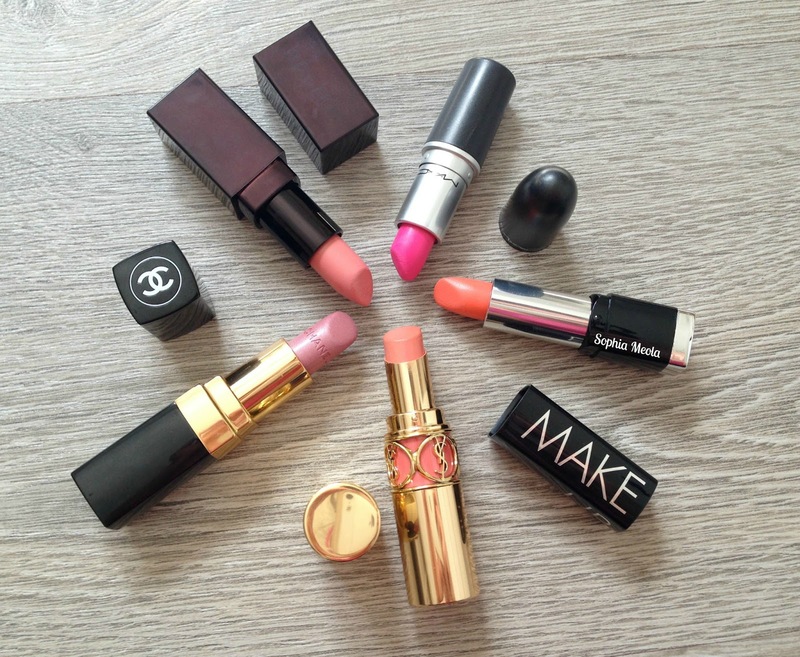 This lipstick looks absolutely amazing with or without a tan so i thought it would be a perfect shade to include in this post. I picked this up last year on my way back from Barcelona in Duty Free and it has become a favorite coral / peach shade of mine. The formula is super creamy and luxurious and i love how it looks and lasts throughout the day. The only thing about this lipstick is i think it is a discontinued or Limited Edition shade which you cannot purchase anymore, however, YSL have a wide selection of lovely lipsticks and i'm sure you could pick up something similar. 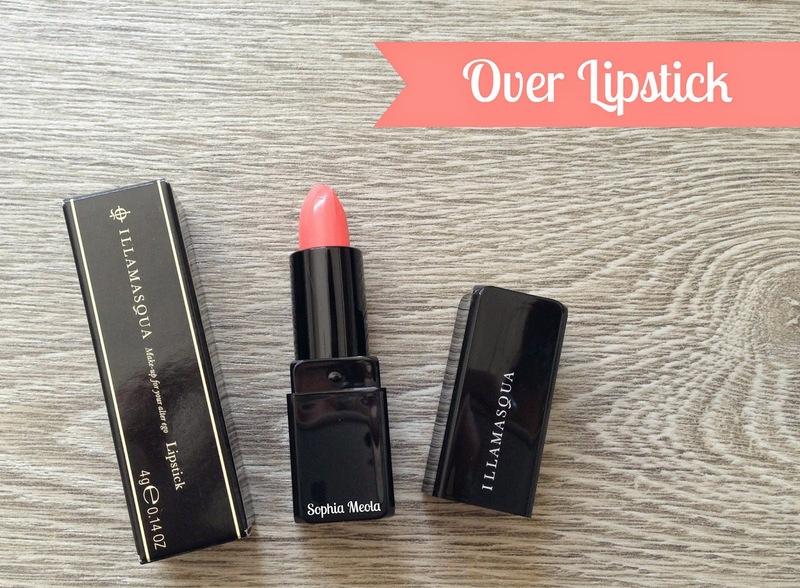 I recently did a post on this lipstick if you would like to take a peek at the review you can CLICK HERE :) After looking at the swatches it comes out quite similar to YSL Fabourgh Peach, however, it has a slightly brighter orange undertone. This lipstick does come out quite shocking in the tube as it looks quite neon and super bright, however, it is a beautiful coral / peach shade which is very on trend for Summer 2013. 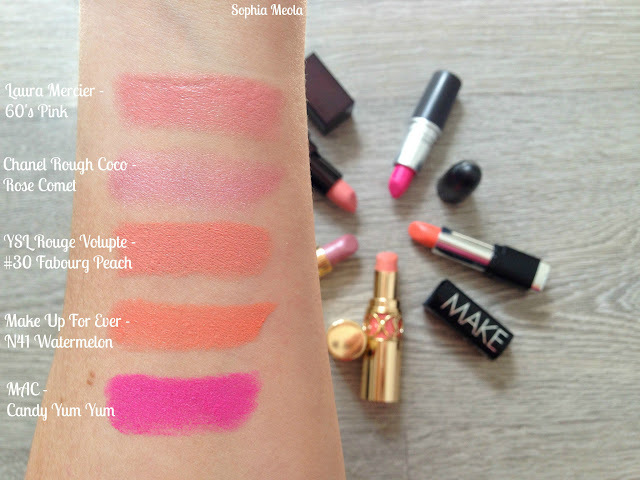 The formulation is quite similar to the Revlon Lip Butters, however, the Make Up For Ever lipstick comes up slightly more pigmented when applied. I think this lipstick speaks for itself haha i remember desperately wanting to get this lipstick from the MAC's Quite Cute Collection but it sold out almost instantly! Boo! Then i think it was last year MAC brought it back after much demand and it is now part of the permanent collection, YAY! This is a very bright shocking pink and i have nothing like it in my lipstick collection but it is absolutely stunning. I though Summer, bright colours, sunshine, being daring and thought this lipstick would be a perfect shade to include. 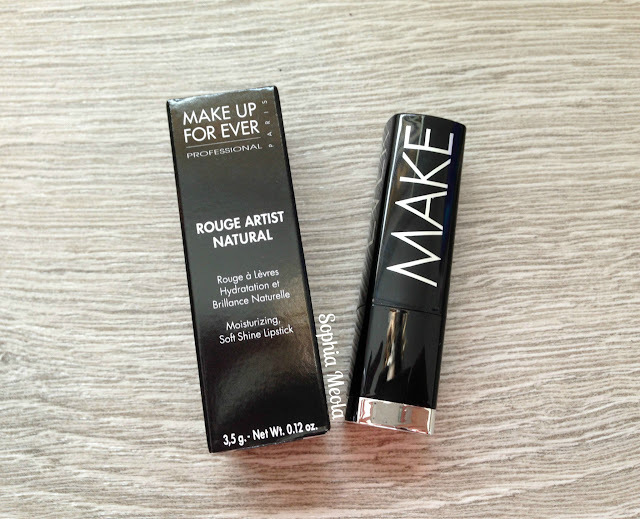 The only thing i have to be careful about when using this lipstick is the fact it's a 'Matte' shade and they tend to try out the lips quite quickly, so when i do wear it i will need to make sure my lips are super moisturised. Hope you all enjoyed this summer inspired post! 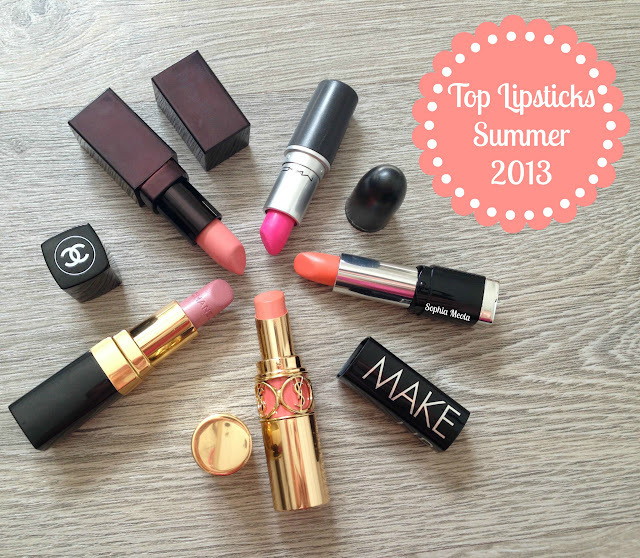 I'd love to know your thoughts on these lipsticks and what your favorite lipsticks are going to be this Summer! If you have any questions or request please do not hesitate to contact me or leave a comment below. I read every single comment and i loveeee hearing from you all. Hope you are all well! So, as the weather has been quite nice and sunny lately i thought i'd do quite a summery post for you all today. Also, today is the 1st May (Pinch Punch First Day Of The Month) and also my bestie Indias 21st Birthday 'The Jewel Beauty' so a big HAPPY BIRTHDAY shoutout to her! Hope you have an amazing day, love you lots!! The Make Up For Ever Rouge Artist Natural Lipstick in N41 is a lipstick i picked up last year from Sephora in Barcelona. The makeup artist who was serving me had this particular shade on at the counter and i couldn't resist purchasing one for myself, plus the lipstick is called 'Watermelon' which sounded uber yummy and tempted me even more haha. It looks so beautiful on and for a bright orange shade it is very wearable for everyday and can even be glammed up for a more dramatic evening look. If you read my blog regularly then you'll know that i have an obsession with pink lip combos and by looking at the photos you can tell this is not a pink lipstick, i know major shocker haha. 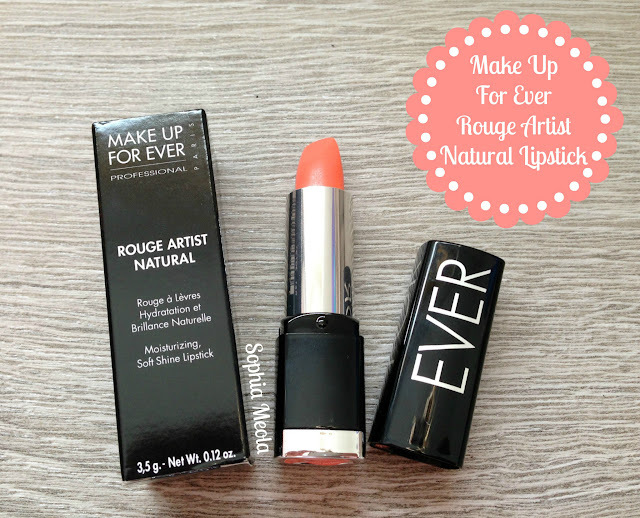 The Make Up Forever Rouge Artist Natural lipsticks have an ultra-creamy formula with a soft and ultra shiny finish which are quite similar to the Revlon Lip Butters. This is the first lipstick i have tried from them and i have to say i think they are absolutely devine and i can't wait to stock up on more when i head over to the USA in September. 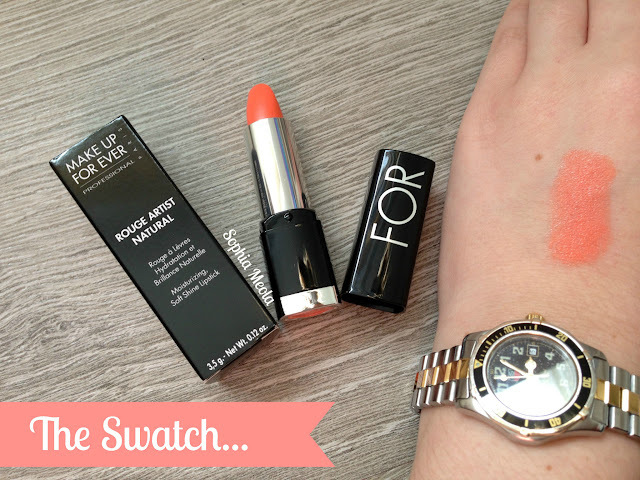 The lipstick does look shocking neon orange in the tube but when swiped and applied to the lips the colour pay off is more of a fun peachy coral shade which i am personally loving for summer. The formula is rich and creamy with amazing pigmentation, once applied the lipstick will not budge which i think it amazing. I wore it out recently and had loads of lovely compliments on it, i was really suprised that i only really had to re-apply once throughout the day, how fabo :D It has a fresh smelling scent which kind of resembles summer if that makes any sense at all haha. So not only will it make your lips look fantastic but will makes them smell pretty amazing too. The 'Cupuacu Butter' in the formula works to improve the moisture levels in your lips and also is also a natural plumper! Also if you have any requests or questions please do not hesitate to contact me via my links on the right hand side under my picture or leave a comment below :) i read every single comment and i love hearing from you all!